Flag of a United States attorney. 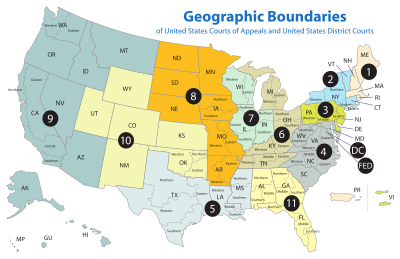 There are 93 U.S. Attorney offices located throughout the United States, Puerto Rico, the U.S. Virgin Islands, Guam, and the Northern Mariana Islands. One U.S. Attorney is assigned to each of the judicial districts, with the exception of Guam and the Northern Mariana Islands where a single U.S. Attorney serves both districts. Each U.S. Attorney is the chief federal law enforcement officer within his or her particular jurisdiction, acting under the guidance of the United States Attorneys' Manual. They supervise district offices with as many as 350 Assistant U.S. Attorneys (AUSAs) and as many as 350 support personnel. An Assistant United States Attorney (AUSA), or federal prosecutor, is a public official who represents the federal government on behalf of the U.S. Attorney (USA) in criminal prosecutions, and in certain civil cases as either the plaintiff or the defendant. In carrying out their duties as prosecutors, AUSAs have the authority to investigate persons, issue subpoenas, file formal criminal charges, plea bargain with defendants, and grant immunity to witnesses and accused criminals. U.S. Attorneys and their offices are part of the Department of Justice. U.S. 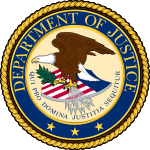 Attorneys receive oversight, supervision, and administrative support services through the Justice Department's Executive Office for United States Attorneys. Selected U.S. Attorneys participate in the Attorney General's Advisory Committee of United States Attorneys. The Office of the United States Attorney was created by the Judiciary Act of 1789, along with the office of Attorney General and the United States Marshals Service. The same act also specified the structure of the Supreme Court of the United States and established inferior courts making up the United States Federal Judiciary, including a district court system. Thus, the office of U.S. Attorney is older than the Department of Justice. The Judiciary Act of 1789 provided for the appointment in each judicial district of a "Person learned in the law to act as attorney for the United States...whose duty it shall be to prosecute in each district all delinquents for crimes and offenses cognizable under the authority of the United States, and all civil actions in which the United States shall be concerned..." Prior to the existence of the Department of Justice, the U.S. Attorneys were independent of the Attorney General, and did not come under the AG's supervision and authority until 1870, with the creation of the Department of Justice. The U.S. Attorney is appointed by the President of the United States for a term of four years, with appointments subject to confirmation by the Senate. A U.S. Attorney continues in office, beyond the appointed term, until a successor is appointed and qualified. By law, each United States attorney is subject to removal by the President. The Attorney General has had the authority since 1986 to appoint interim U.S. Attorneys to fill a vacancy. (2) the expiration of 120 days after appointment by the Attorney General under this section. (d) If an appointment expires under subsection (c)(2), the district court for such district may appoint a United States attorney to serve until the vacancy is filled. The order of appointment by the court shall be filed with the clerk of the court. (c) A person appointed as United States attorney under this section may serve until the qualification of a United States Attorney for such district appointed by the President under section 541 of this title. This, in effect, extinguished the 120-day limit on interim U.S. Attorneys, and their appointment had an indefinite term. If the president failed to put forward any nominee to the Senate, then the Senate confirmation process was avoided, as the Attorney General-appointed interim U.S. Attorney could continue in office without limit or further action. Related to the dismissal of U.S. attorneys controversy, in March 2007 the Senate and the House voted to overturn the amendments of the USA PATRIOT Act to the interim appointment statute. The bill was signed by President George W. Bush, and became law in June 2007. Senator Dianne Feinstein (D, California), summarized the history of interim United States Attorney appointments, on March 19, 2007 in the Senate. When first looking into this issue, I found that the statutes had given the courts the authority to appoint an interim U.S. attorney and that this dated back as far as the Civil War. Specifically, the authority was first vested with the circuit courts in March 1863. Therefore, at that time, the interim appointment authority was switched to the district courts; that is, in 1898 it was switched to the district courts. Thus, for almost 100 years, the district courts were in charge of appointing interim U.S. attorneys, and they did so with virtually no problems. This structure was left undisturbed until 1986 when the statute was changed during the Reagan administration. In a bill that was introduced by Senator Strom Thurmond, the statute was changed to give the appointment authority to the Attorney General, but even then it was restricted and the Attorney General had a 120-day time limit. After that time, if a nominee was not confirmed, the district courts would appoint an interim U.S. attorney. The adoption of this language was part of a larger package that was billed as technical amendments to criminal law, and thus there was no recorded debate in either the House or the Senate and both Chambers passed the bill by voice vote. Then, 20 years later, in March 2006 – again without much debate and again as a part of a larger package – a statutory change was inserted into the PATRIOT Act reauthorization. This time, the Executive's power was expanded even further, giving the Attorney General the authority to appoint an interim replacement indefinitely and without Senate confirmation. The U.S. Attorney is both the primary representative and the administrative head of the Office of the U.S. Attorney for the district. The U.S. Attorney's Office (USAO) is the chief prosecutor for the United States in criminal law cases, and represents the United States in civil law cases as either the defendant or plaintiff, as appropriate. However, they are not the only one that can represent the United States in Court. In certain circumstances, using an action called a qui tam, any U.S. citizen, provided they are represented by an attorney, can represent the interests of the United States, and share in penalties assessed against guilty parties. The U.S. Attorney for the District of Columbia has the additional responsibility of prosecuting local criminal cases in the Superior Court of the District of Columbia, the equivalent of a municipal court for the national capital. The Superior Court is a federal Article I court. Coordination with other components of the United States Department of Justice and other federal agencies. These responsibilities include certain legal, budgetary, administrative, and personnel services, as well as legal education. The EOUSA was created on April 6, 1953, by Attorney General Order No. 8-53 to provide for close liaison between the Department of Justice in Washington, DC, and the 93 U.S. attorneys located throughout the 50 states, the District of Columbia, Guam, the Northern Mariana Islands, Puerto Rico, and the U.S. Virgin Islands. It was organized by Ninth Circuit Court of Appeals judge James R. Browning, who also served as its first chief. Note: Except as indicated parenthetically, the foregoing links are to the corresponding district court, rather than to the U.S. Attorney's Office. ^ "United States v. Curry, 47 U.S. (6 How.) 106". justia.com. ^ William Bennett Munro (1919). The Government of the United States. Macillan. p. 370. Retrieved November 30, 2010. ^ William M. McKinney; William Mark McKinney; Burdett Alberto Riched (1918). 22. Ruling Case Law. Edward Thompson Co. p. 103. ^ "Standards on Prosecutorial Investigations (Table of Contents) - Criminal Justice Section". ^ "US Attorneys' Manual". usdoj.gov. ^ "United States Attorney Office for the District of Columbia". usdoj.gov. Retrieved November 10, 2007. ^ Sisk, Gregory C. (2nd Edition Editors: John Steadman, David Schwartz &, Sidney B. Jacoby) (2006). Litigation With the Federal Government (2nd Edition). ALI-ABA (American Law Institute – American Bar Association). pp. 12–14. ISBN 0-8318-0865-9. ^ Partial access online. Google Books. ^ 28 U.S.C. § 541(a). ^ 28 U.S.C. § 541(b). ^ 28 U.S.C. § 541(c). ^ "PUBL177.109 US Politics Blog" (PDF). uspolitics.about.com. Retrieved November 30, 2010. ^ "House votes to strip U.S. Attorney provision". Think Progress. March 26, 2007. ^ Michael Roston (June 15, 2007). "Bush signs bill to preserve US Attorneys' 'independence'". Raw Story. ^ "US Attorneys' Manual. Title 1, section 1-2.500". usdoj.gov. ^ "Justice Manual, Title 3". justice.gov. ^ "History of the Federal Judiciary". Federal Judicial Center. Retrieved 2013-06-26. Wikimedia Commons has media related to United States Attorneys. Index of prosecuting offices in all state and federal jurisdictions, and some foreign jurisdictions.